Pre-funk Kalyanji Anandji. And it's a keeper. There's not much for the sample-hungry beatheads on this one, simply a collection of great songs, for listening, mostly. 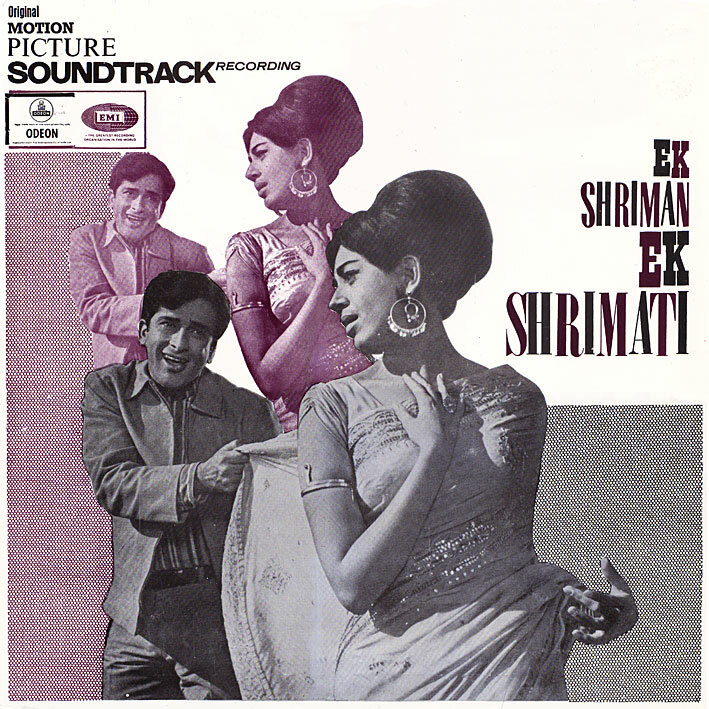 Admittedly it's the (ubiquitous) jazzy cabaret number ('Hello Hello') that initially drew me to 'Ek Shriman Ek Shrimati' [review]; however Lata & Rafi's 'Jeevan Path Par' is an equal contender for best track. A lovely, melodious duet, rolling along to a country-tinged rhythm; wonderful. Check out 'Chandni Raat Men' and 'Pyar To Ek Din Hona Tha' as well; both very good. Check out the whole album. Yup :) And quite a few good ones to come, as I've been saving some of my faves for last. Btw, can we expect RDB's CARAVAN soon ?. Eventually, not sure exactly when as it's not been ripped yet though.